Duron Carter's one-game suspension for knocking over Ottawa Redblacks head coach Rick Campbell on the sideline in Week 2 has been upheld by an independent arbitrator, according to TSN senior correspondent Gary Lawless. Carter was suspended on July 4 and launched his appeal on July 7. In total, the appeal process total 53 days and Carter appeared in seven CFL games. The 25-year-old's appeal was heard on August 17 as Carter argued he was concussed during the incident, which followed a hit. 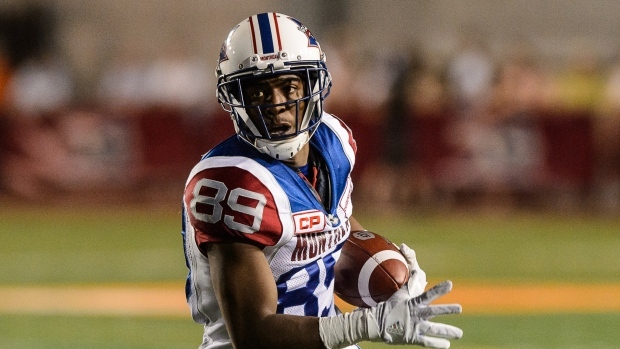 Carter leads the 3-6 Alouettes with 717 receiving yards and five touchdowns. He is set to miss Thursday's game against the Redblacks.